One thing I love to do oh so much, is give something old and dated, a whole new purposeful life! Whether a piece of furniture or a leftover soup can, anything I can turn into functional and pretty storage is a giant win for me! So imagine my excitement when I received a note from Jennifer looking for ideas for her old component cart. I have this old stereo component cabinet that my 8 year old wants to use for storage in his bedroom; however, it is SO UGLY. Do you have any advice for me on what this can be used for?? It does not have to be for my son. It can be for any room of the house. The front and top are glass and both open. 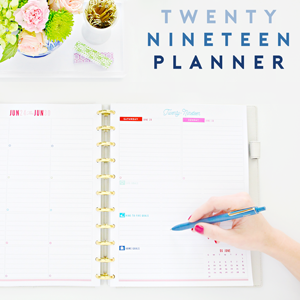 I love your blog and all your creative, organizational ideas. I am a loyal reader everyday. Thanks for any advice that you might have. There is no doubt that the cabinet needs a little love, but with a little paint and primer and maybe even some decorative paper and cool casters, it just may be the little cabinet that could. 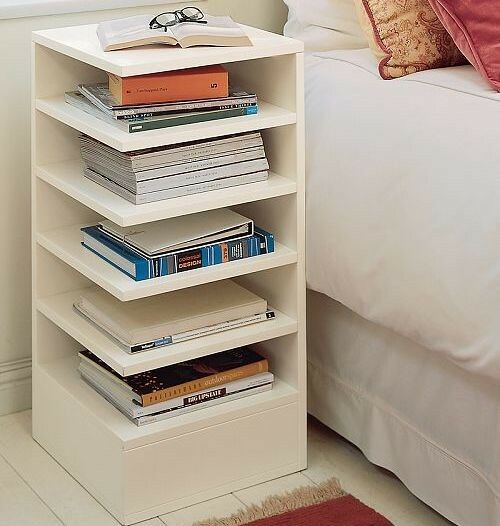 When thinking about using it in a child's bedroom, my first thought was maybe as a side table to hold books! Or a great place to stash games! 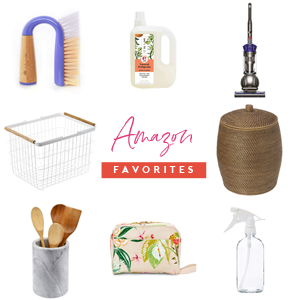 I love that she mentioned that it really could be used anywhere in the home. Oh the possibilities! 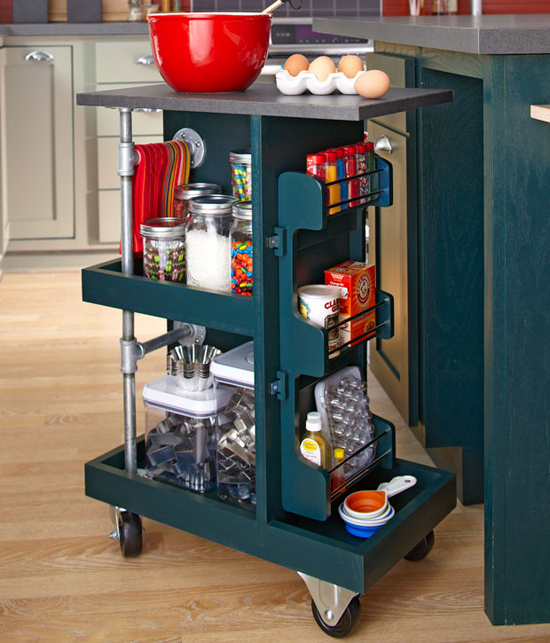 What about in the kitchen as a baking cart? Maybe in a home office as a laptop/printer/bill paying station? Or as a craft cart! 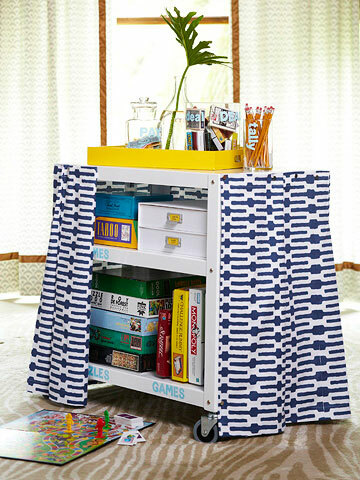 And with a lot of creativity, maybe it could even be transformed into a super sweet wrapping station! 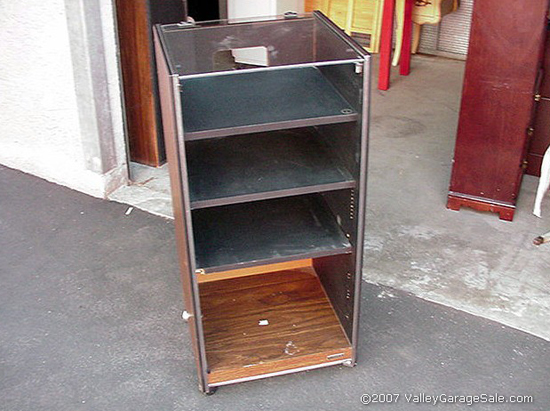 Is it weird that a little piece of me wants to hop onto Craigslist to find an old component cabinet to makeover? And to think we donated ours years ago without thinking through all of the potential first. Thanks to Jenn for writing in! 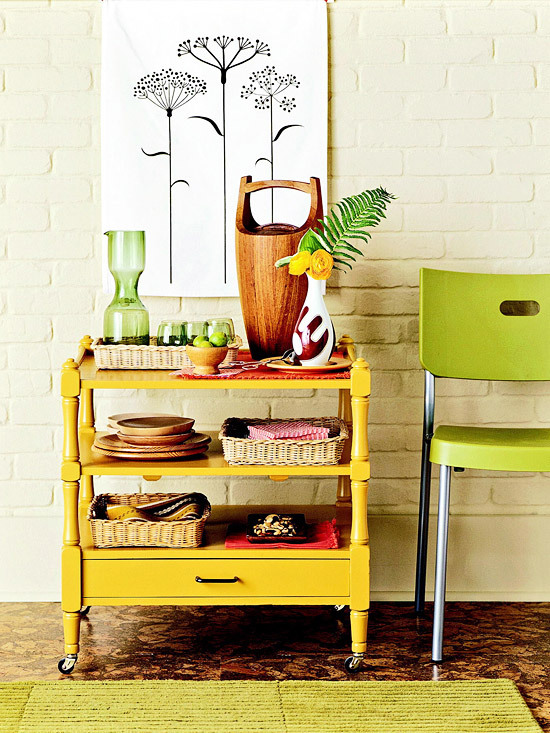 Who has been giving new storage life to really old and dated furniture? Any other suggestions or ideas for Jenn? 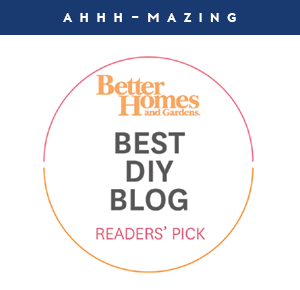 i just stumbled onto your blog...and i love it! 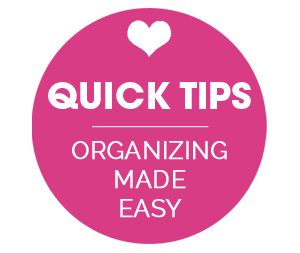 i love organizing as well! great post! I would have never imagined so many ideas for this piece, your creative genius is amazing to me! I like the beverage or serving cart the best. I sure hope Jenn shows us a picture of what she ended up doing. Before and after shots are the best! Please keep us updated. Agree! It would be awesome to see the after photos! :) I will be sure to share if I see anything come in. fantastic ideas!! could also be used as linen storage, like tablecloths etc. Wow so many different options! Makes me wanna hop on Craigslist too! So many possibilities indeed! Love this post!! Wow! Seriously? I think I owned a stereo cart like that a long time ago. Love all your ideas. How about a mini potting shed with room for pruners, trowels, gloves and potting soil on the bottom? Or a puzzle box storer. Or how 'bout turning into a modern dollhouse? 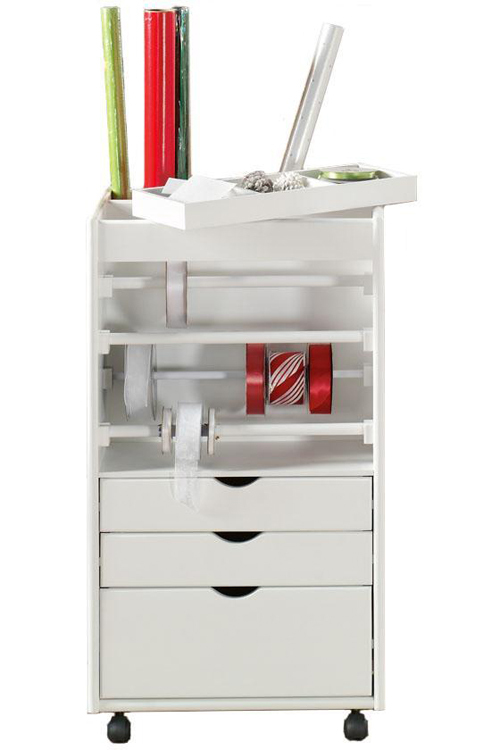 Used in the bathroom for extra storage for small items like first aid supplies, tweezers, scissors, stocked-up items. It would look great painted or papered and filled with small baskets to house everything. Oh, the possibilities! 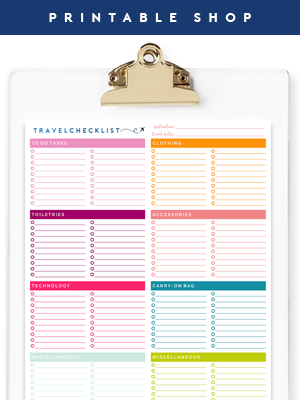 Love the additional ideas! :) Can't wait to find out which she decides to go with! I think it would look lovely to paint the inside of the glass too so you would get that milk glass effect. Would look great if the whole thing was painted. Oooh, I agree! That would look awesome! Whatever they decide to do with the cart, I'm so glad they're planning to recycle. Too much gets thrown away these days. You've presented some exciting possibilities. Love the suggestions. The pattern on the beverage cart, are those appliques? Where would one go to find those? Love it. My guess is it is just a frosted vinyl? 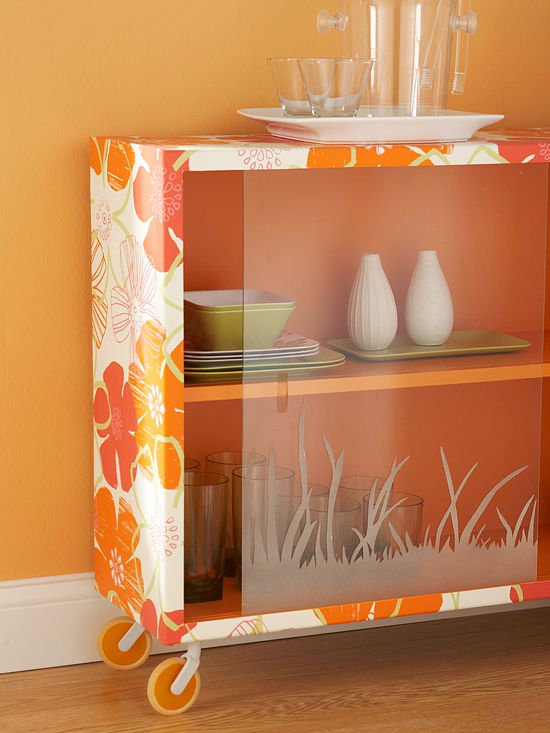 I think you can purchase the frosted glass vinyl from home improvement stores and cut your own design? Great ideas and pics too! I hope she picks one and does it! I'd love to see it! I'm like you, I feel like hunting for one now after seeing all those great makeovers! No way! The possibilities are endless. I really like the idea of a craft cart. 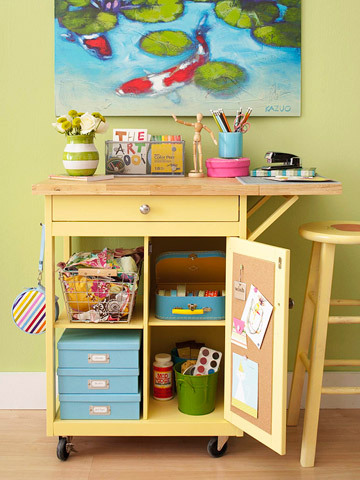 As much as I dream of having my own crafting oasis someday this craft cart would certainly do the trick if my future house does not have room. You are so right...paint can transform anything! Just last night, I moved my media stand into the office to re-purpose it. It doesn't have the best design but I'm happy not tossing out (or buying something at the moment)! I grew up in a house with a father who fixed electronics for a living. 30 years he's been doing this, the head tech for a high-end electronics company that is legendary to the point that he has "groupies" the world over. They are all middle-aged men, but they are groupies nonetheless. I have seen many a component cabinet in my day. Luckily, the ones from this company seem to last forever, made out of solid anodized aluminum that weighs a freaking ton. In fact, I think there are one or two sitting around in his basement. I wouldn't even need to fix it up, but now I have so many options for how to use them! Thanks Jen! Oh wow!! This makes me want to go to the thrift store and transform something ugly with wheels into a little food station for my tiny kitchen. What great ideas! Thank you for sharing so much inspiration. I love the beverage cart idea. I keep trying to think of something in my home that I can revamp into that idea. We have a 3 season porch that I have wanted to redo, and this would be such a cute idea to add out there. Thanks for sharing! Tout ceci est très inspirant et me donne envie de recycler une vieille desserte de cuisine pour la mettre dans ma scraproom.